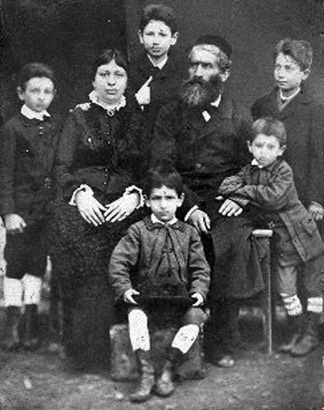 Moses Hersch Erdheim was born around 1842 in Sosnica, near Jarosław. Since his first child was born in 1868, he likely married his wife Esther Hopfinger (b.1846) from Sambor, in his early twenties. Moses Hersch Erdheim must have entered the wax business in its early years in the 1860s when fortunes could be made from the rich deposits in the Borysław area. In 1882, he owned 1/5 hectare of land and rented a much smaller piece, where he dug nineteen shafts, four of which were productive. He employed twenty workers. 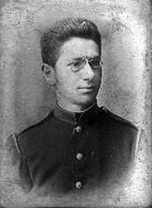 In 1901, Moses Hersch had formed two partnerships in Borysław: M.H. Erdheim and H. Mendelsohn, and M.J. Kornhaber, M.H. Erdheim, M. Mendelsohn, and Co., and a refinery for wax and naphtha in Hubicka, Kornhaber, Mendelsohn, and Erdeheim. Left: Sigmund (Sische) Erdheim (Sambor 1868 - Vienna 1945), the oldest son, studied medicine in Vienna where he practised. 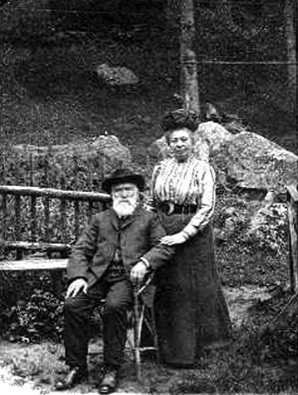 Around 1936, when civil marriages were legal in Austria, he married Paula, (b. 1886). Left: Peter (Pinkas) Erdheim (Borysław 1877-Warsaw 1946) studied law in Vienna. Before the outbreak of the Second World War, he practised briefly in Przemyśl and in Zabłotow in eastern Galicia. He married Taube Waldinger. They had three children: Robert (1905-1907), Paula b. 1909), and Kamila (b. 1910). Peter survived the war, as did his daughters Kamila and Pauline, whose husband Milek Lifsches (Litynski) also survived. 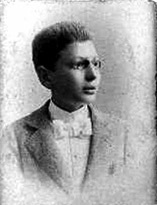 Having received his medical doctorate from the University of Vienna in 1901, Jacob Erdheim worked as an assistant at the institute of pathological anatomy in Vienna. 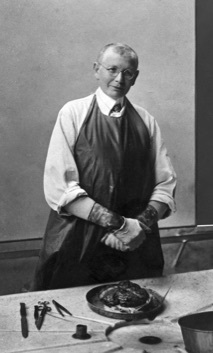 In 1913, he qualified as a pathological anatomist and became director of the pathological-anatomical institute at the Vienna city hospital in 1916. He conducted research of hyperparathyroidism, acromegaly, Paget’s disease, and pituitary gland abnormalities. His name is associated with "Erdheim's syndrome," a condition that is also known as "Scaglietti-Dagnini syndrome" (cervical spondylosis secondary to acromegaly). Other diseases and conditions associated with his name are: Erdheim disease: a synonym for cystic medial necrosis, and Erdheim tumor: a synonym for craniopharyngioma. 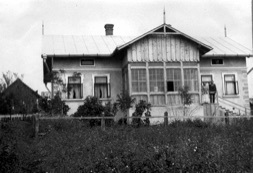 After his first success in Borysław, Moses Hersch built a home for his family in a new suburb of the village where many Jewish families in the wax and petroleum business lived. Later he was able to move to Drohobycz. Moses Hersch aslo invested in other business opportunities, such as the import of Nürnberg wares. Above: Passport issued to Moses Hersh Erdheim in 1914, probaby for a trip with his family to Vienna at the outbreak of the First World War. Many Jews in Galicia sought refuge in Vienna at that time. 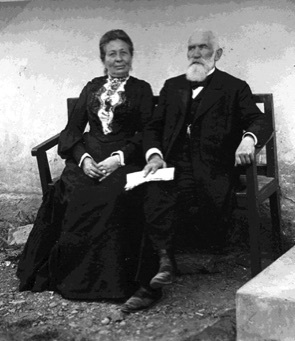 .Both Moses Hersch and Esther died in Vienna and were buried in the Central Cemetery. Left: Eduard Erdheim (Drohobycz 1905 - Mauthausen 1944). Eduard studied chemistry in Vienna. His wife Rena Neumann came from Stryj. Before the war, Eduard was employed as a chemist in Romania. He and his wife and son were taken by the Germans in Hungary. Eduard comitted suicde in Mauthausen on December 28, 1944. His wife Rean and their son perished in Auschwitz. This material was submitted by Claudia Erdheim, Moses Hersch Erdheim's great granddaughter, who told the story of her family in a novel, Längst nicht mehr kosher. Right: Oskar (Osias) Erdheim (Sambor 1871 - Vienna 1945), owned a successful business in Vienna. He and his wife Sophie Reuter (b. 1867) had a daughter Tea (pronounced Tay'a) (1906-1977). She married Laurenz Genner (1894-1962).